I took this in the morning with my iPhone. 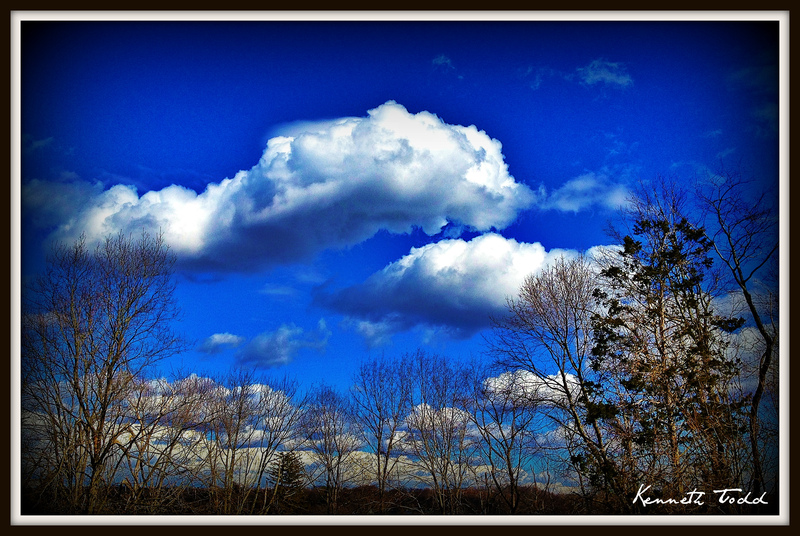 Just loved the clouds, blue sky and the trees providing a framing focal point for your eyes. Enjoy. This is the kind of sky that you just want to stare at and find the pictures in the clouds. Lovely! This picture pops. So well done. I can hardly believe this is an iPhone photo. The colors are magnificent.